Want to grow your personal training business? Watch this video and heed these 5 tips from successful trainer and entrepreneur Ryan Hughes! Personal training is more than just putting someone through a tough workout; it's learning how to become a mentor, a motivator, and a friend. It's finding out what makes people tick, what drives them to succeed, and, perhaps most importantly, what limits their capabilities. None of these skills mean anything, however, if you don't have a clientele. Building a solid reputation and a positive brand is what's going to bring you clients. You can have a lot of letters behind your name and a hundred certifications in your pocket, but without a plan for your business, you'll never get to utilize them. I started out as a dime-a-dozen personal trainer; now I have a booming business of high-end clients. I've learned a few things about what it takes to do well in this industry outside the gym, and I want you to achieve the same success I've had as a trainer. This is how you do it. 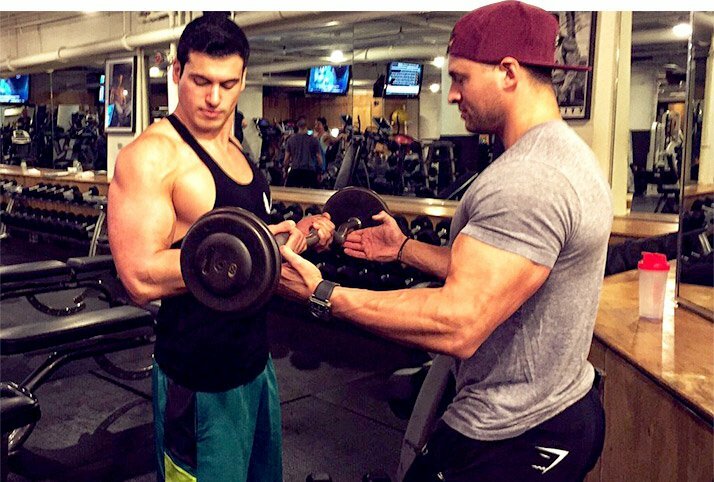 Personal training is all about who you know. If you build a strong network, success will follow. When I first started as a personal trainer, I took every opportunity I could get to shake a hand. Social life and business go hand in hand for an entrepreneur, so never miss out on potential networking opportunities. It may be difficult to balance socializing and a healthy lifestyle—your body is your business card, after all—but meeting new people and engaging in your community are essential components of building your network. Take every opportunity you can within the limits of your own health and well-being. Local clinics, wellness fairs, fitness expos, workshops, and even business events are great places to start. They'll provide you the opportunity to meet new people, and a platform for new people to meet you. When you attend events like these, be sure to bring fliers or business cards that include your contact information. People should be able to easily reach you when they're ready to start training! If you build a strong network, success will follow. Many trainers and entrepreneurs hype themselves up to obtain a client or business relationship, only to fall flat once the client is secured. This is probably what destroys most personal training careers. Word of mouth is the best type of advertising, so if a client or business partner doesn't have a good experience with you or your business, you can kiss your good reputation and your hopes of new clients goodbye. Instead of promising the moon, create goals with your client. More importantly, treat every single client like they are the only client you have. Going above and beyond for each and every individual will result in new business and new opportunities. Going above and beyond for each and every individual will result in new business and new opportunities. Don't just load plates and count reps. Build relationships with your clients by asking them about their families, their lives, and their passions. Obviously, you always want to be a professional, but talking to your clients builds trust. Trust leads to long-term loyalty, referrals, and new business opportunities. It's tricky to learn how to build relationships with your clients without distracting them from their workout. So, build time into your hour with them to ask questions and learn about their life. A little extra effort on your part to be kind and understanding will go a long way, and it will honestly make you a better trainer. Build time into your hour with them to ask questions and learn about their life. Recognize your strengths as a trainer and use them to your advantage. Do you excel in small group sessions, or do you work better in a one-on-one environment? Are you comfortable working with teenagers, or do you prefer training adults? Working with and highlighting your strengths, rather than hopping on whatever training fad is most popular at the time, will help you gain and retain clients. Pick a training area you are familiar with. It doesn't matter what type of fitness you have experience doing—strength and conditioning, TRX, Pilates, or bodybuilding. Having an area of expertise will set you apart from your competition. Don't try to be a jack of all trades. Find one or two areas you're passionate about, and then educate yourself as much as you can. Your goal should be to become the go-to expert. When your name becomes synonymous with your niche, marketing yourself and gaining new clientele becomes a lot easier. I targeted high-end, exclusive clientele and focused on catering to their specific needs and lifestyle. I built a profile of my ideal client, what their day looks like, and what they typically want to achieve from training. I built my business around catering specifically to their needs and their needs only. Obviously, this approach may be more challenging to start with, but I can promise it will build you a strong business long term. It took me six months to land my first client in this category, but I knew that one client would lead me to more. I targeted high-end, exclusive clientele and focused on catering to their specific needs and lifestyle. The world around you will never stop moving. If you want your business to grow, you have to continually learn, improve, and evolve. Attend fitness conventions and training workshops, and sign up for personal training webinars. When you're not training clients, working out, or networking, spend your time reading every piece of literature that will help you design the best programs and training protocols for your clients. The more you educate yourself, the more highly you'll be valued by your clients. Don't spend time worrying about what others are doing—focus on always putting out your best product. You are your business.